Alternative Motors sells quality used vehicles. Paul Tanner leads a team that is capable of taking care of all your automotive needs and provides a high level of service that has earned them the nickname "The Good Guys". All vehicles are MA, NY, VT or CT Inspection Certified! Each car comes with at least a 60 Day or 2500 Mile Limited Warranty! - See Details Below! - Peace of Mind, Guaranteed! 100% Guaranteed Financing Available. Just Great Service and Peace of Mind Guaranteed! Outstanding Cars at Outstanding Prices sold with Outstanding Service! Peace of Mind - Guaranteed! Paul Tanner is the owner and manager of Alternative Motors. 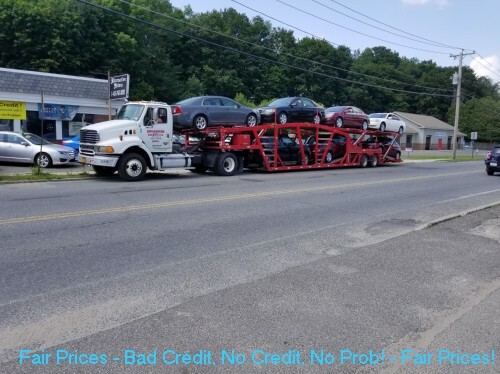 Paul leads a team that is not only capable of taking care of all your automotive needs but also provides a level of service in Adams MA that has earned them the nickname "The Good Guys" - stop down and see why this is so when you buy a quality used car from Paul! All of our cars are brought up to MA, NY, VT or CT Inspection Specifications! Peace of Mind, Guaranteed! Just Great Service and Peace of Mind Guaranteed! 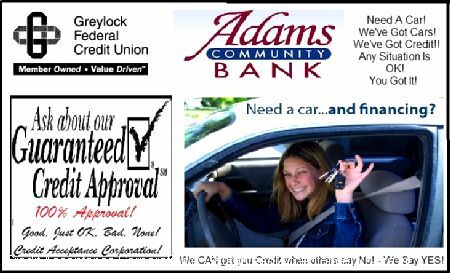 Alternative Motors Quality Used Cars with Warranty! We will also search for a specific car just for you! All of our cars are brought up to MA, NY, VT or CT Inspection Specifications! Each car comes with a 60 Day or 2500 Mile Limited Warranty! First 30 Days Parts and Labor, remaining 30 Days Parts and Labor! While we endeavor to avoid mistakes, they can happen and we ask that you call for information verification on car and price. Prices are subject to change without notice, or from error on this Site.